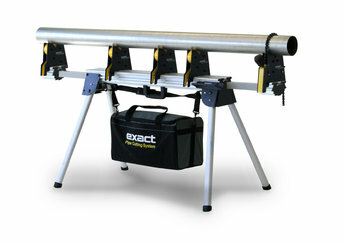 PipeBench 170 is a real mate at renovation sites and it is also very handy for on-site pipe assembly jobs. 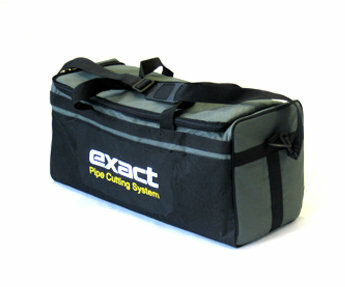 It is lightweight and easy to carry anywhere you need to work with pipes. Pipe Support is intended to support the pipe properly and to let it roll when cutting. The cutting takes place in the middle of 2 pairs . Max OD 170mm. Chain Vice is used to hold the pipe firmly for example when making a thread or when welding parts together. Chip tray is used when you do not want to mess up your working area. It collects most of the chips when sawing the pipe or making a thread. 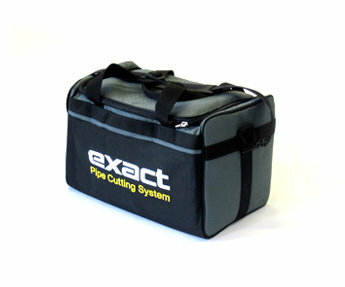 Same product as PipeCut Bag 3. 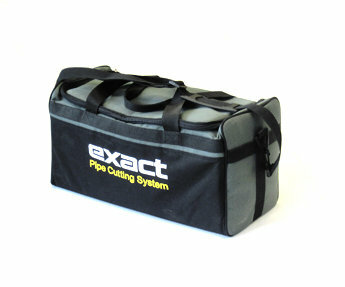 In the Tool Bag you can store and carry all the tools you may need for pipe installations. Also all the PipeBench 170 accesories fit in. 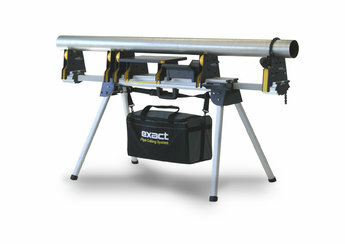 Pipe Support V1000 is specially designed to be used with Exact PipeCut V1000 pipe saw. It can be used for ventilation pipes from 75mm (3”) up to 1000mm (40”). It has two positions one for smaller pipes - OD 400mm (16”) or less- and the other for larger pipes - OD more than 400mm (16”). 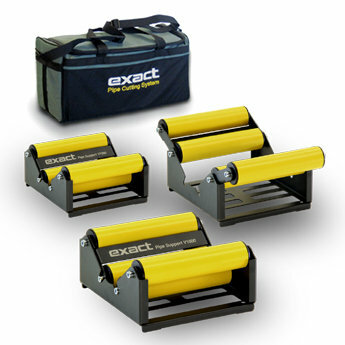 Pipe Support 170 is specially designed to be used with Exact PipeCut 170 and Exact PipeCut 170E pipe saws. 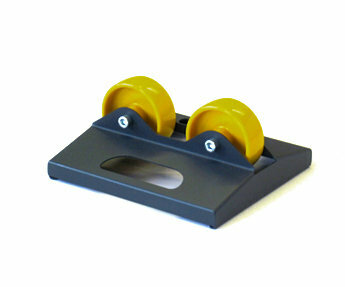 It can be used for supporting all pipes up to OD 170mm (6.7”). 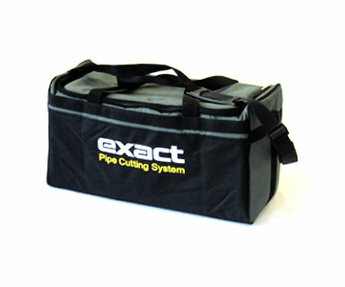 Pipe Support 280 is specially designed to be used with Exact PipeCut 220E and Exact PipeCut 280E pipe saws. It can be used for supporting all pipes up to OD 280mm (11.0”). 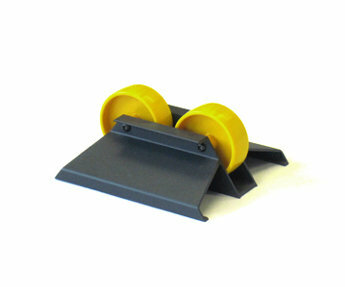 Pipe Support 360 Single is specially designed to be used with Exact PipeCut 360E pipe saw. 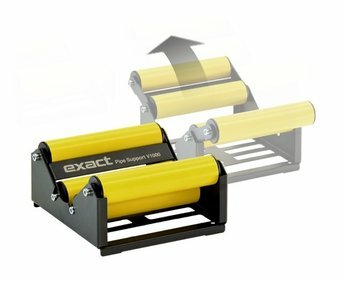 It can be used for supporting all pipes up to OD 360mm (14.2”). It is meant to be used under the both ends of the pipe to be cut. 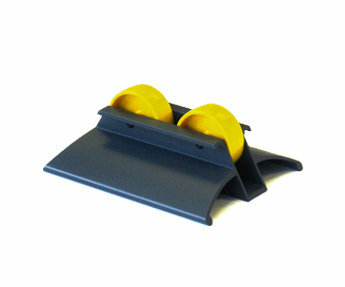 Pipe Support 360 Double is specially designed to be used with Exact PipeCut 360E pipe saw. It can be used for supporting all pipes up to OD 360mm (14.2”). It is meant to be used under the cutting point. 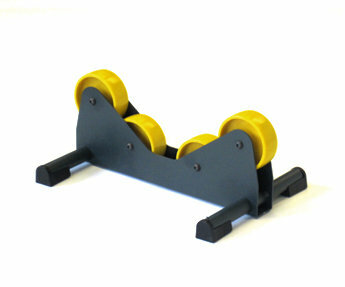 Pipe Support P400 Single is specially designed to be used with Exact PipeCut P400 pipe saw. 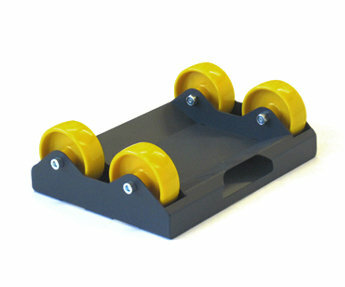 It can be used for supporting all pipes up to OD 400mm (15.7”). It is meant to be used under the both ends of the pipe to be cut. 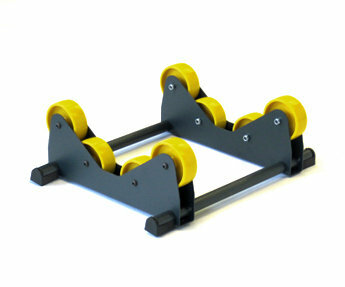 Pipe Support P400 Double is specially designed to be used with Exact PipeCut P400 pipe saw. 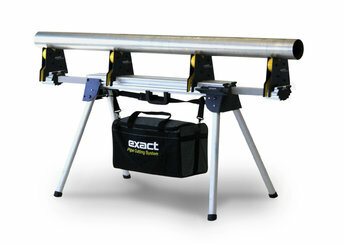 It can be used for supporting all pipes up to OD 400mm (15.7”). It is meant to be used under the cutting point.